This amazing Low-Sugar and Gluten-Free Slow Cooker Blueberry Crisp has been a hit every time I’ve made it and using the Crock-Pot Casserole Crock Slow Cooker means this is easy to make for a special occasion! And using the slow cooker for dessert frees up the cook to concentrate on the rest of the dinner. Click here to see The BEST Slow Cooker Summer Desserts with Fruit. Easter is this weekend, and today I’m reminding you about this amazing Low-Sugar and Gluten-Free Slow Cooker Blueberry Crisp from Kalyn’s Kitchen that would make a perfect dessert for a busy holiday like Easter. And this recipe uses frozen blueberries, so you can make it any time of year. 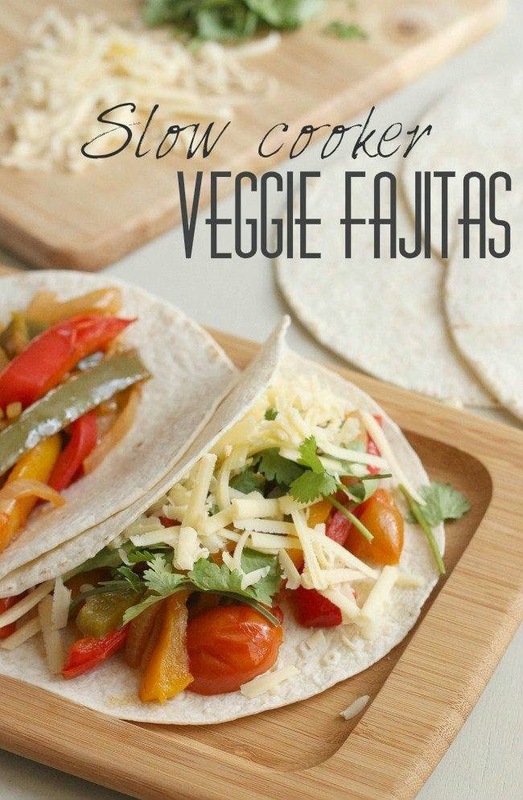 If you don’t have a Crock-Pot Casserole Crock Slow Cooker just use a large oval slow cooker for this recipe. If you follow my main blog, Kalyn’s Kitchen, then you know I’m into savory low-carb foods and don’t make many desserts. But when I experimented with the Casserole Crock to make Low-Sugar and Gluten-Free Slow Cooker Blueberry Crisp, it was such a hit with my entire extended family that I’ve made it many more times since. And the Casserole Crock makes 10-12 servings, so this is perfect for parties and special occasions when you have a lot of other food prep to concentrate on. If you’re cooking Easter Dinner, here are The Best Instant Pot Potato Recipes to give you plenty of options for your holiday meal! Potatoes always make a great side dish, and making potatoes in the Instant Pot is a great trick when you have too many things that need the stove. Click here to PIN The BEST Instant Pot Potato Recipes! Click here for The Best Slow Cooker Recipes for Potatoes. Easter is next weekend, and I know for a holiday meal like that, using the slow cooker or pressure cooker can be a great trick to free up space on the stove. And potatoes are such a perfect thing to cook in the Instant Pot, so our team worked hard to put together this collection of The BEST Instant Pot Potato Recipes. There are some great mashed potato recipes here, but there are lots of other ideas for Instant Pot potatoes to serve any time of year. If your family loves potatoes for a side dish and you love the Instant Pot, you really need to PIN some of these recipes and give them a try! And check out The BEST Instant Pot or Slow Cooker Scalloped Potatoes for even more ideas for special potatoes made in the Instant Pot! This collection of The BEST Instant Pot Fried Rice Recipes is a great place to get ideas for delicious fried rice made quickly in the Instant Pot! Fried rice is a favorite side dish for many people, or make it a complete lunch or dinner in the spring and summer when you’re wanting lighter meals. 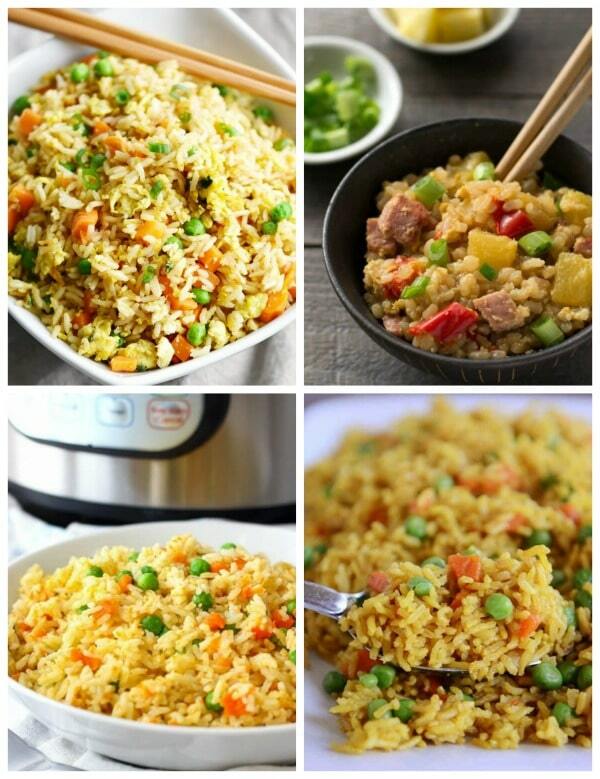 Click here to PIN The BEST Instant Pot Fried Rice Recipes! Click here for The BEST Instant Pot Rice or Risotto Recipes! 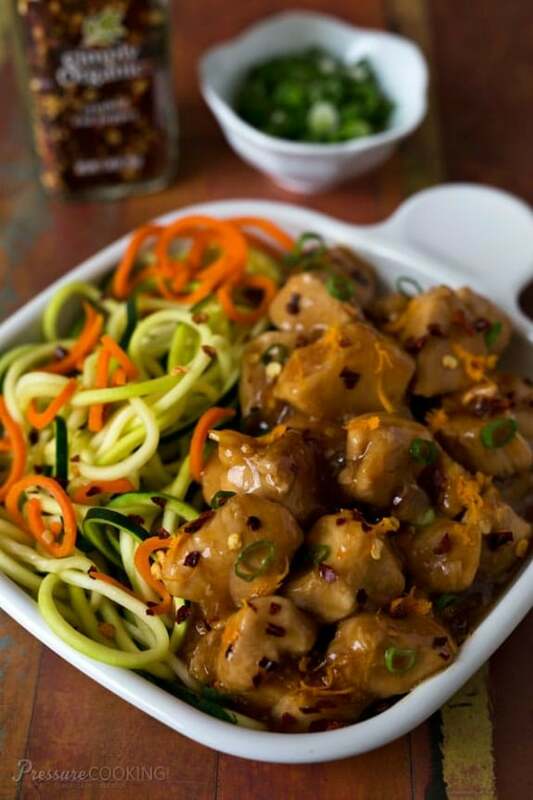 Here on Slow Cooker or Pressure Cooker we’re always looking for new ideas for your Instant Pot, and we’ve featured interesting Instant Pot recipes like Instant Pot Cheesecake, Instant Pot Pasta, and Instant Pot Lettuce Wraps. But I am guess that this round-up of The BEST Instant Pot Fried Rice Recipes just might be one of the most “think outside the box” recipe collections we’ve shared so far. But seriously, it makes a lot of sense. I think most Instant Pot users have discovered how easy it is to make Instant Pot Rice or Risotto. So fried rice is just a different variation of that, with more seasonings and other ingredients added. We found recipes to give you lots of options on the flavors and added ingredients, and you can serve your Instant Pot Fried Rice as a side dish, or have it as the main dish for a light meal. If you’re a fried rice fan, I bet this is something you’ll make over and over once you try it!